The action in the shaken baby arena seems to be ramping up, maybe because a few successful appeals have breathed new hope into old cases. 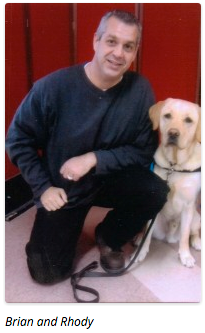 This site is receiving not only the usual traffic from newly accused families looking for answers but also messages from supporters on the outside renewing their commitment to prisoners convicted years ago—like Brian Peixoto, who has been such an exemplary inmate during 18 years of incarceration that he was chosen to train service dogs at one facility, although he’s since been transferred. Brian’s most recent appeal was turned down this past fall, but his case has been taken on by both the innocence arm of his state’s public defense committee and the New England Innocence Project, and his supporters have just this winter put up an ambitious web site. Closer to the public eye, judges have granted new hearings in two old cases, reopening the convictions of child care providers Jennifer Del Prete in Illinois, whose case I looked at in a posting last month, and René Bailey in New York, featured briefly in a posting last summer. In Bailey’s case, the appeal brief offered a new report from a child care provider who said she had seen a 2-year-old boy who was at Bailey’s home on the crucial day re-enacting with stuffed animals a sequence that matched Bailey’s description of an accidental injury to a little girl. Both that boy and another child had confirmed Bailey’s report at the time, but were deemed too young to be reliable witnesses. At the time of her conviction, nearly all physicians and other experts believed that symptoms such as those displayed by [the toddler] could be caused by violent shaking, and conversely that nothing other than shaking or throwing a child could cause them. But some experts now argue that those conclusions were based on shaky science. They say new research shows falls or illnesses can cause some of the symptoms traditionally ascribed to shaking. The Criminal Justice Center Blog at Pace Law School posted this commentary on the case. The rotational forces attained in manual shaking cannot be equated to those occurring as a result of a multistory fall or a high speed motor vehicle accident. To suggest otherwise is without scientific foundation. And in Florida, friends and family are regrouping in support of Amanda Brumfield, convicted in the 2008 death of her best friend’s one-year-old daughter. Brumfield reported that the baby had fallen and hit her head while climbing out of a portable playpen. Supporters are launching their new campaign with a rally next Friday at the church Amanda attended before her incarceration. Supporters of child care provider Marsha Mills in Ohio have had their site up since 2007, within months of Mills’ conviction in another toddler-fall case. The site shows fundraisers for her defense as recently as November of 2013. They are now awaiting the results of the most recent appeal. Finally, in Canada, Onatario Court of Appeal Judge Marc Rosenberg has authorized appeals by two shaken baby defendants who have already served their time but want to clear their records. The decision cites the lessons of the Goudge hearings in 2012. All of this appeal activity would feel like progress, except that the other kind of story keeps coming as well. Just in the past two days I’ve seen news reports of shaking allegations against a father in Wisconsin, a young mother in Pennsylvania, and the boyfriend of the child’s mother in Ohio. Note: A number of support sites have remained in place for years but are not mentioned in this posting because they are holding steady, not surging. Still, it feels incomplete not to mention here the The Amanda Truth Project, which contains many family vignettes. For a list of individual support sites, petitions, and Facebook pages, please see the lower portion of the Cases page on this blog. Sue, you do an amazing service to so many wrongfully convicted, their families and supporters. We are hoping to update the Marsha Mills web site soon, but I wanted you to know that she has a habeas petition pending before Judge Sara Lioi in Federal District Court at Akron. It was filed almost three years ago (as of late February 2014) and we still await the judge’s decision. Team Marsha continues to work with her attorney and to raise money for her defense, and provide education and spread the word on recent issues in the SBS arena. Marsha, incarcerated at Ohio Reformatory for Women, sends her thanks to those who have reached out to her and is aware she is only part of a very huge issue. She and her supporters continue to spread the word and are very grateful for all of you on this blog. Thank you for commenting. I am always eager to connect, as our voices are so much stronger together than individually. I hope this posting helps. Best wishes to you all, and I’m glad Brian has your support.